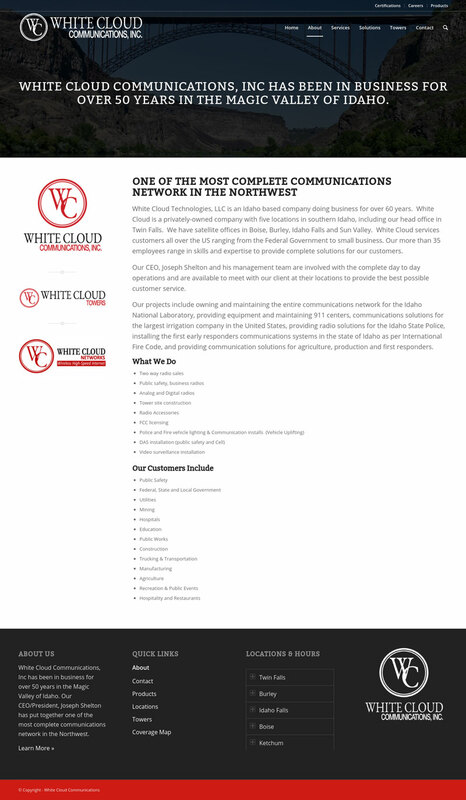 White Cloud Communications services customers all over the US ranging from the Federal Government to small business. Their work includes owning and maintaining the entire communications network for the Idaho National Laboratory, providing equipment and maintaining 911 centers, communications solutions for the largest irrigation company in the United State and providing radio solutions for the Idaho State Police. 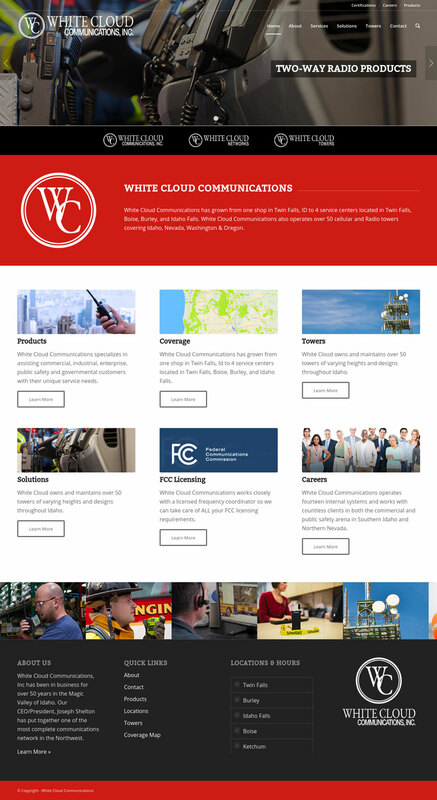 As White Cloud Communications expands and grows they needed a web presence that reflected the quality of service that they provide. My task was to rebuild their existing site to highlight their wide array of service offerings as well as help make it more usable for potential clients.